For more than 25 years, he has dealt with complex medical problems by integrating “alternative” modalities with conventional medicine into a comprehensive integrative medical practice. His expertise lies in tackling problems that have been difficult to diagnose and/or treat. These include complex multisymptom, multisystem disorders such as immune disorders, including chronic and/or recurrent infections, autoimmune disorders, chronic fatigue, fibromyalgia, Lyme disease and other tick borne disorders as well as multiple childhood disorders, including autism, Asperger’s disorder, ADHD, asthma and allergies. Dr. Bock’s healing program for these complex chronic disorders, including children with the 4-A disorders, consists of environmental controls, dietary modifications, nutritional supplementation, detoxification and medications. This innovative treatment model is at the vanguard of the new medical approach to the treatment of autism spectrum disorders and when combined with appropriate behavioral and educational interventions has shown very significant improvements in many children, and even recovery in an increasing number. His approach to asthma and allergies has helped many children who were not getting adequate relief solely with symptom-relieving medications, or who were experiencing adverse effects. Dr. Bock has lectured widely for the past two decades, nationally and internationally, on a broad range of topics including integrative approaches to immune system health; detoxification; and the treatment of complex chronic illness, including Lyme disease, Chronic Fatigue Syndrome, and the integrative medicine treatment of autism, ADHD, asthma and allergies. 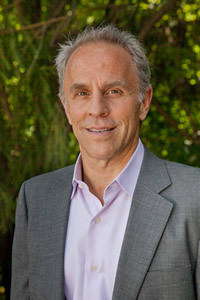 He has written for general interest publications, including Psychology Today and Autism Digest, and has been a contributing author to numerous published articles and studies in medical journals, including The Journal of Neuroimmunology, the Journal of Public Health, American Journal of Medical Genetics Part B (Neuropsychiatric Genetics), and Expert Review of Anti-infective Therapy. He is the co-author of four books: The Road to Immunity (Pocket Books),Natural Relief for Your Child’s Asthma (Harper Collins), The Germ Survival Guide (McGraw Hill) and Healing the New Childhood Epidemics: Autism, ADHD, Asthma and Allergies (Random House). The latter book has increased global awareness of biomedical approaches for the 4-A disorders, subsequently helping people from all over the world. Dr. Bock’s office, Bock Integrative Medicine, is located in Dutchess County, New York, in the beautiful Hudson Valley. He sees patients there from around the country and the world. He consults with physicians, companies, and institutions as well as patients and their families. In fact, he especially enjoys the opportunity to help family members after they bring in another family member, such as their child, for treatment. Dr. Bock is married with two children and lives in rural Bearsville, New York where he enjoys outdoor activities including tennis, hiking, kayaking, and snowboarding.